„Take care of your body. Diet! What a huge topic. The nutrition and diet industry is gigantic. There are endless diet-methods, with which you can loose weight and get lean in not time. But does that really work? When I write about a few of these diets, I do it from my own experience and the experiences of people known to me and friends. This means, these are personal and totally honest opinions on some diets. It makes little sense just to say, "This diet is the best." It is very important to know what exactly you're getting into rather than just listening to some "Guru". But what is good for you, what goals can you achieve with it? Let me introduce to you some weight-loss-methods. There are so many different diets and I want to remove a little bit of your confusion. I generally consider a healthy change in diet to be the best way. I will explain in this article why. During the fasting phases, you eat nothing except water or unsweetened tea. the extreme variant - only eat every 2nd day and fast one. When there is no food that needs to be handled, the liver can process fat better during this fasting. But regardless of all the benefits, how hard is it not to eat for a whole day? The eat-in-8hours-method still seems to be the most human. What many confuse, is to eat too much or unhealthy during the food phases. Some have this opinion, because they think they will fast anyway the next day, so now they can eat whatever they want. This is a fallacy, because although the body reduces fat in this time, also the metabolism slows down, given that no food is delivered to the body. The body switches to Low-Mode. If you have caused an exaggerated surplus of calories before, then the body has difficulty to handle this amount of calories and also burn fat. So you need to eat healthy and with care in the food-phases, too. I personally think, it is best to do intermittent fasting at least once a week. This allows the body to "clean" itself and even release growth hormones that are beneficial for muscle growth. I do it from Sunday to Monday and keep fasting for 16-18 hours. That means that on Sundays after 8 pm I usually don't eat anything and then on Monday I skip breakfast. When I then have my first meal after 12 o'clock I have fasted at least 16 h. Once a week you can really survive without a breakfast. It can help to drink mineral water during fasting, cause it fills the stomach. Conclusion: The intermittent fasting brings advantages like a good fat burn and detoxifying the body. But you need a lot of discipline for not eating food for several hours or even a whole day. Rather unsuitable as the only weight-loss-strategy. I would rather consider it a joker if you want to loose some extra weight or if you don't want to put on too much fat in a bulking phase. Carbohydrates are necessary for the body and not bad at all. They are needed in the brain and give you energy for the day. It depends on how many and what kind you eat. Low Carb has been so successful in the last years, because there is only one rule to follow. No carbohydrates! Everyone understands that. But what does it look like when you really wanna try it out? For me, completely cutting off carbohydrates, always sounds like meat or fish with some salad. Many nutritious and protein-rich vegetables, such as legumes, have many carbohydrates. I can't even eat them. Maybe somebody will scream out now and say that there are enough alternatives. That is true and I agree with you. I think it's just me, who knows so few low carb dishes. Low Carb has a decisive advantage, namely that the body has to draw its energy from fats and proteins due to the missing energy carrier carbohydrates. This state is called ketose. Therefore it is important to eat healthy fats such as coconut oil, peanut butter, avocado, fatty fish (tilapia, salmon), nuts and seeds. To ensure that the body doesn't extract the necessary proteins and amino acids from the muscles, it is important to have an high-protein diet (meat, fish, eggs, tofu, cheese, curd cheese, greek yoghurt etc.). Especially BodyBuilders use this kind of diet to define their muscles. In these circles it is rather called anabolic diet and it is said to lose fat and build muscles simultaneously. This kind of diet is very effective. Most books and websites proclaim this weight-loss-strategy. And it works! But maybe you already noticed what the problem is. It takes a really good planning as well as the iron discipline to renounce carbs. Low Carb is in almost every case a complete turnaround in a person's diet. Once a week there will be a Cheat Day where you can eat whatever you want. Even this cheat day should be held in a healthier way. But planning and execution are not the only difficulties. Missteps are hardly forgiven. Since the body gets used to this form of nutrition and works in safe mode, it will make you pay for every sin all the more. Even a bit of chocolate from time to time or eating a plate of pasta can get the whole concept out of control. The system is very error-prone due to the large renunciation of carbs and everything containing sugar (sugar = carbohydrates). If you have to give up almost everything all the time, then the temptation is all the greater. In addition, you can feel weak because your body lacks an important source of energy --> Carbs. Conclusion: An effective weight loss strategy with which you can actually reduce your body fat about 1-2 Pounds (0,5 - 1 Kilo) per week, if performed correctly. Despite the simple rule to consume no or hardly any carbohydrates, it is not that easy to stick to this plan. You need a lot of discipline, because small breaks of consistency lead directly to setbacks. Powerlessness and lack of drive due to the lack of the energy supplier carbs must be taken into account. The topic yo-yo effect is a common guest here, as soon as one eats again increased amounts of carbohydrates after a successful diet. High Carb??? How can you lose weight with that? Oh, yes, it is possible, and personally, it is one of my favorite diets to loose weight. The reason is very simple. You don't have such deficiency symptoms, because you can still eat properly. Meat with rice and vegetables, potatoes with curd cheese, pasta with mushrooms and feta, grilled fish with sweet potatoes etc. That are just a few possible dishes. Of course you shouldn't exceed your daily amount of carbs, otherwise the body stores the surplus of energy as fat. And speaking of fat, little or only good unsaturated fat should be consumed here. If you take up carbohydrates and fat together, as for example french fries or chips, the body stores the extra fat, since it takes energy from the carbohydrates. Before the whole low-carb-trend, the high carb diet was the common weight loss strategy. You lose weight with this strategy, only if you have a calorie deficit. For example: An adult woman needs round about 2000 Kcal a day to cover her daily energy requirements. That would mean to only eat 1700-1800 Kcal per day, carbohydrates included. But be careful and do not reduce your calories to much, because every deficit of more than 20% makes your body run on emergency mode and prevents you from consuming the important fat reserves. Instead of the fat, your body start to use nutrients from the big energy consumers like muscles for his lack of energy. And that's not what we want. So if you just wouldn't eat at all, you weight would drop, but not your body fat. And then when you start to eat normally again, the body wants to deposit as much as possible for new times of emergency and directly puts on more fat. Ergo, the yoyo-effect. The best tip here is to eat healthy and not to exceed your calorie deficit. You also should't eat too much fruits, as it is healthy but contains sugar. Everything in a moderate way. If you start to eat healthier and no sweets or extremely fatty food such as junk food, you usually already generate a calorie deficit that is just right. Calculating and making a plan supports the whole thing of course very much. Since you don't have to renounce to that much, I think a whole cheat day is way too much. A proper cheat meal brings better results. For example, when you are out with friends etc. Everybody is different and you have to take your height and your weight also into account. If you want to read more about calories and fat loss, read the article Traumfigur: So einfach geht es. Everything is described explicitly there. Conclusion: You can eat carbohydrates and then you have the necessary energy for training and your everyday life. Small sins are more easily forgiven because you do not completely change your diet, but rather just avoid bad food. It doesn't go as fast as with the low carb diet, but at least a yoyo-effect is limited, because you already consume carbohydrates during this diet. Carbs also provide enough energy for everyday life. I find it easier to stay on track here, but not even this diet is the perfect solution. Take care that you don't consume too much carbohydrates or too much unhealthy fat. Just a few short words about Carb Cycling. The principle behind it, is to consume more carbohydrates on some days and less on others. That's mor or less all. There are different methods and ways to implement it. In principle, it makes the most sense to consume more carbohydrates on training days so that you have the strength and energy needed for your training. On non-workout days, for example, you then may not consume any carbohydrates at all in the evening or you just consume fewer throughout the whole day. This method is a combination of the high carb and the low carb diet. It's about eating as the men did before our time. Eat healthy and unprocessed food. This is a good way to eat, but even difficult from time to time, because you have to prepare everything from nothing and there are many "don'ts" in this diet. If you are interested, then go and buy a book with recipes. Healthy is always good for you and your body. Just try it out. Maybe it fits for you. Don't be shy to try something new. But never forget to be consistent. Without that, the best concept won't work out. So now we arrived where I wanted to go since the beginning. It's not strange that many package inserts say: "Take care of a healthy lifestyle and a balanced diet". Yep, that's it: Healthy living. This can be achieved with the right nutrients and movement. This is the best way to stay or become lean without a drastic diet and without the yoyo-effect. A magic cure? No certainly not. In the past, I mostly spent around 12 weeks in a definition phase in January, February and March. In most cases it was High Carb / Low Fat. Ate my curd cheese with oatmeal in the morning, lentils with brown rice at noon, a piece of fruit in the afternoon and no carbohydrates in the evening, so mostly fish or meat with vegetables or salad. The plan worked out and I lost round about 4-6 kilograms (8 -12 pounds). The musculature had suffered a few losses, but I was satisfied, because my belly lost some, too. After this phase I was again lean and happy about the results, because it was certainly not easy for me to renounce so long. Some might say that I could have lost even more kilos during this time. This is true, but somewhere I want to enjoy life. I strictly kept my diet, let us say 80% of the time. All well so far. But now the diet was over and I slowly started to eat as usual again. It was not even necessary to exaggerate, but the kilos/pounds slowly snuck in. After 4 or 5 months at the latest, precisely in summer, when you want to look good and ripped, I looked just like before my diet. Great! So much effort for nothing. I must add at this point that I am an endomorphic body type. That means, I build up fat very fast. And above all, I am a gifted glutton. Now I know in retrospect what my mistakes were. I didn't really pay attention to my calories and just ate less. My deficit was too high and I didn't eat enough protein. I lost to much muscles and to little fat as I would have liked. Due to the too high calorie deficit the yoyo-effect came up very quickly. Of course I did not let myself get discouraged and planned a weight-loss diet again. But this time it had to be done in a different way. Of course the muscle training also increased the muscle mass, but this was no solution for me. What good are thick arms if my belly is also fat? You just don't look the way you want to. After some research and a lot of nutrition literature I came to a very simple answer. Every doctor names this two methods: "Healthy lifestyle and a balanced diet!" And we are back on the subject. In the end this is actually the solution for all those, which were unsuccessful for years with their diet or simply want to hold their weight. I now explain to you how to proceed in the best way. Just the advice with the healthy and balanced nutrition did not bring me any further. Where should you start? A detailed instruction is following now. Our brain and body get used to stimuli and at some point they need them. Look at alcohol, cigarettes and drugs. But such an addiction does not only apply to harmful substances. It is exactly the same with fast food or sweets with a high sugar content. You form a dependency and a habit. And what is the best way to get used to something or get rid of it? Slowly and controlled! So you do not fall down into the deep hole again. The plan is as following: You try to avoid unhealthy food and drinks permanently. But you don't want to miss out on a tasty Coke on the weekend or a piece of cake for breakfast on Sunday morning. No, of course not! That is all normal and exceptions are completely in order. You're not a machine. You only have to train yourself to be able to avoid this stuff in most of the situations. The 80 to 20 relation is a very good example here. If you eat 80% of the time well and disciplined, you can enjoy 20% of the time whatever you want. If you don't see any success, make 90 and 10 percent out of it. You can't just say no to everything all the time. You also have to enjoy, but not constantly. Once you have reached this stage, it is no problem to eat a piece of chocolate or drink something sweet. As soon as you get used to your diet, it won't be difficult not to grab every piece of cake you see. 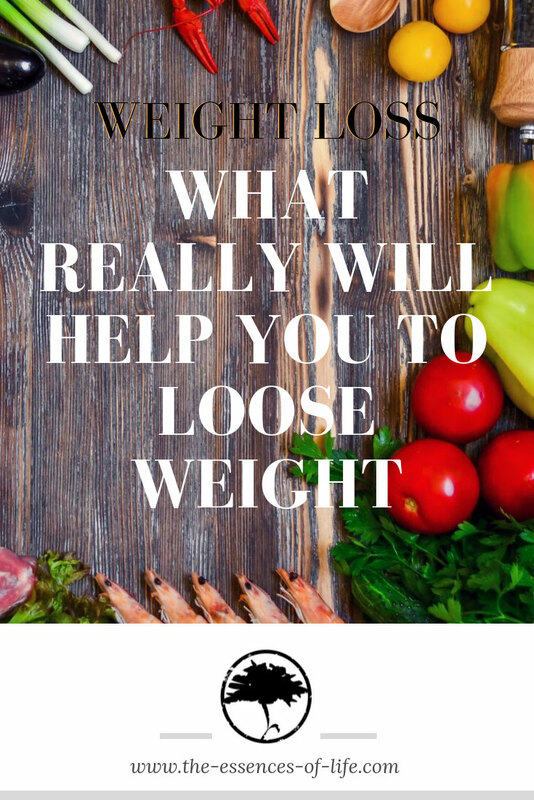 If you get used to it, you can lose kilos (pounds) or hold your weight without getting stressed, without having to punish yourself for a little candy. If you like this method and you really want to try it, you won't regret it. Don't be on a strict diet anymore. Be on a progress in your life. If you follow something like this all your life, you will be able to benefit from it all your life. A healthy diet is important, but sometimes you want to eat pizza, burgers and snacks. Don't be too hard on yourself, just don't let it become the habit. Stay fit and lean, because obesity can do a lot of damage to your body. Furthermore I would advise not to drink a lot of alcohol. I don't say this to tell you that it is unhealthy, everyone knows that, but to make it clear to you that no matter how healthy you eat, you must not expect any progress if you consume alcohol regularly. Apart from the negative effects on our brain and liver, alcohol slows our metabolism and suppresses muscular growth hormones. If you ever go out for a drink with friends or colleagues, it's okay, but there's a big difference between a bottle of wine or several beers every day or just once in a while. Take care of yourself! Week 1 & 2 - Sugarfree drinks: Nutrition as usual, because during the first weeks you don't change anything at all in your normal meals. Just start banishing sweet drinks. Sugarless lemonades are not really healthy either, but in the first few weeks they can help to suggest to your brain that you are still consuming sugar. This may make it a little easier for you, but don't exaggerate! Drink more in general. It should be at least 2 liters, regardless of your height. Water, unsweetened teas, coffee (no sugar, maybe try with more milk). Cakes and sweets are OK for now, if you ate them regularly before. That means, if you're going to eat a pizza in the evening, order a water instead of the soft drink. Juice also contains a lot of sugar. Week 3 & 4 - No Sweets, no snacks: Start this weeks without candy and snacks like chips and replace them with fruits. In the beginning it is difficult to say NO to the chocolate bar and eat an apple instead, but your body and health will thank you for it. It's all about the quantity, as always. Even though fruit is very healthy, it contains a lot of glucose (Sugar). 1-2 pieces of fruit are no problem if you skip other sweets. Your meals can still be as before. Week 5 & 6 - Bye, bye dough: Say goodbye more and more to white flour, biscuits, cakes and pastries. Many dough products from the bakery contain a lot of unhealthy trans fats and baking agents that can be harmful to your digestive system. Furthermore, white flour is directly converted into sugar in the body and has a low glycaemic value, which means that the body benefits very little of it and converts it into surplus energy. Of course, getting a bun from the baker in the morning is the easiest way to have breakfast. A natural yoghurt with oat flakes and fresh fruits, an omelette with cheese and mushrooms or a wholegrain bread with cream cheese, tomato and lean ham can still be prepared quickly and it satiates you in a healthy way. If you need more tips on breakfast dishes, read the article 10 quick breakfast dishes. As already mentioned, of course you don't have to give up everything, but stick to the plan. Even if the 6 weeks are over, continue with the last phase. Leave everything unhealthy, sweet, greasy away and eat more fruits and drink more clean water. Try to eat healthy fats, proteins and carbohydrates. These are best obtained from fish, lean meat and vegetables, vegetables and more vegetables. If you have chicken wings with fries for diner, enjoy it as long as you stay on track. Try to stick to your plan quite strictly during the first 6 weeks and only make exceptions from time to time. Forget about the mindset: If I have already cheated now, then I can give it up completely. Consistency is the keyword. This alone should be enough for you to lose weight. Friends of mine have lost over 20 kg (44 lbs) with it. Of course, this did not happen overnight. If you follow a physical activity in addition, the process will be accelerated even more. It is also advisable to first perform one of the above mentioned diets in order to achieve your desired weight more quickly. With a change in diet, you can keep your weight for a long time. A general change in diet is the only true way to achieve your long-term goals. By adopting a healthy lifestyle with few excursions, you can keep your weight and health where you want it to be. In combination with physical activity, it is a powerful weapon for fighting the fat pads. Personally, I keep a close watch on my diet from Monday to Friday and eat a healthy diet, drink a lot and do not consume alcohol. At the weekend I like to enjoy, without pushing it to far. Nevertheless, I try not to overdo it and to eat healthy when I can. But I consume sweets and heavier food only on the weekends. So if you go to the restaurant and order a boring salad, then you don't have to squint at the plate of your table neighbour. Grant yourself a delicious meal, too. Just enjoy it without a bad conscience. As long as your normal eating rhythm is healthy and you always return to it, you will be able to celebrate long-term success. I hope I was able to make this topic clear to you and inform you about the different diets in such a way that you now know what suits you best. Anyway, I wish you a lot of success with everything you have in mind. I hope the article was helpful for you. If yes, then share it with others, so they can also benefit from it. I wish YOU the best.